Kuzhi Paniyaram is a popular south Indian snack item or a tiffin variety. It can be made with leftover idli batter. The presence of jaggery makes these sweet paniyarams have a porous and soft texture. 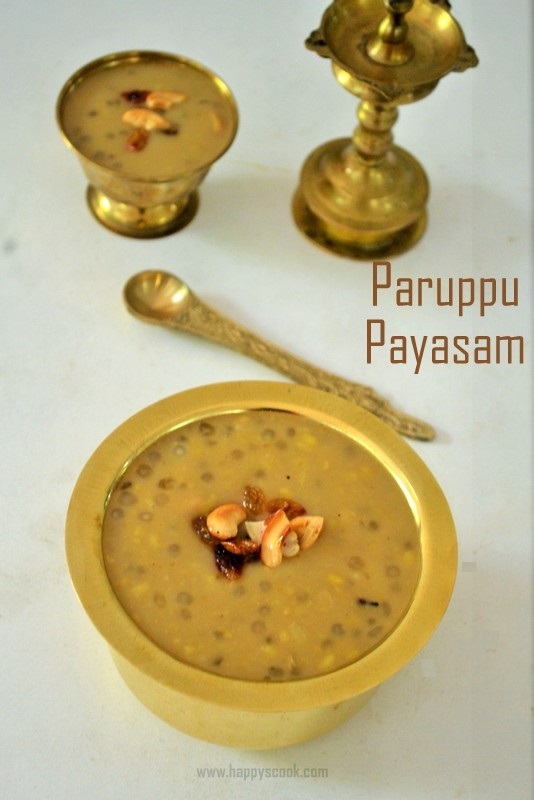 In my home, we make both the Sweet and Savoury Kuzhi Paniyaram together either for breakfast or for dinner. Do check out my Kara Kuzhi paniyaram (savory version) which I have posted in this space. Images Updated on 8-Apr-2016. Initially, I wrote this post when Happy was just 4 months old. And, now Happy is around 4 years old and this is one of her favorite tiffins:). I used to send this as her breakfast or lunch when she was going to Amelio child care. 1. Crush the Jaggery into small pieces and keep it aside. You can also powder the Jaggery. Now mix the powdered Jaggery to the Idly Batter. Don't add water and mix well until the jaggery dissolves completely. After adding jaggery, the batter will be slightly thin. So use the thick Idli batter to make these paniyarams. After the jaggery gets dissolved, add the coconut and cardamom powder and give a quick mix. 2. 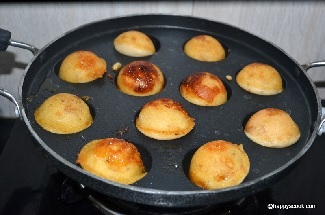 Heat the Paniyaram pan and drizzle some ghee in the holes. Then pour a spoonful of batter in each hole. (Fill 3/4th of the hole only). Cover cook on medium flame for few mins. 3. Once it is almost cooked, flip the paniyaram and cook the other side too. Serve hot and it does not require any side dish. It is a very good evening after school snack for kids. I wanted to make the sweet version with palm sugar (karupatti), which is healthier. I will try it and update it soon. I used cubed Jaggery, but round vellum gives better texture and color to the paniyaram. After you mix the jaggery, make the paniyaram immediately. You can use cooking soda if you want it softer, but avoiding it is good for health.